The evolution of the key. Your smartphone is and more than a smart key now. With your iOS or Android smart phone you can lock and unlock your door, create/delete virtual keys for permitting house cleaners, contractors and guests, and keep track of who comes and goes, You will not need to hide keys under the mat any longer. 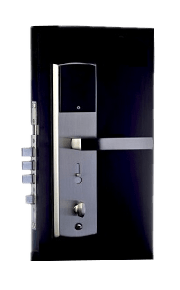 With the smart phone you will access the family quickly and easily and get instant alert when someone enters or leaves your house by using a virtual key, traditional key, or by manually unlocking your deadbolt. 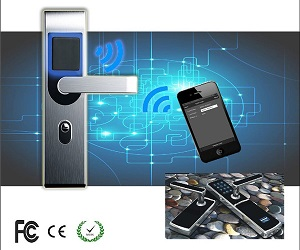 As one of the top Bluetooth Management Company in China, JINOU Science Technology Company has developed a series of smart Bluetooth locks with Bluetooth low energy 4.0. Now you can have the upgraded Bluetooth lock with BLE4.1. Get notifications. Know when your lock is used- and by whom. For example: know when the kids get home. Send access. Send fast and easy temporary, recurrent or permanent access for family, friends, housekeepers, dog walkers or guests by using Jinou APP. High security. Jinou Bluetooth lock is AES128 encrypted. iOS or Android smart phone via Bluetooth 4.0 will be recognized by the lock. Bluetooth sensor lock. The lock only uses Bluetooth low energy to recognize when a phone with a digital key is near(sensing range is adjustable). Bluetooth low energy key. You can make an BLE key to lock and unlock your doors. This solution applies to those who have no smart phones your kids for example. When you are doing sports outside, this small key will give you great convenience. Long battery life.The Jinou Bluetooth lock has an average battery(4pcs AA batteries) life of up to one year, without needing external power source. The Jinou Bluetooth lock has used BLE4.0 technology, to make Bluetooth low energy locks, such as BLE Bluetooth locks, BLE smart locks and BLE electronic locks. Jinou Bluetooth Lock works with the free Jinou app to create keys for granting access, view the activity log, and more, available for Android™ and iOS®. 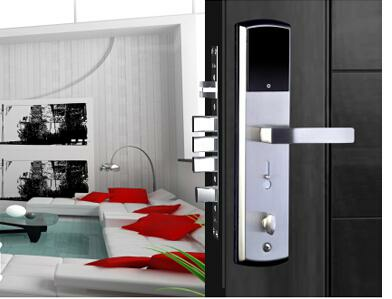 Jinou Bluetooth lock is the most convenient “lock” ever designed. It is simple to be installed and is highly robust when being installed. Never worry about Jinou breaking or falling off the door. Moving somewhere? No problem. Jinou’s, adhesive strip which is free of damage and hassle won’t leave a mark on your door surface. You can even use your Apple watch to lock/unlock your door, view your activity log, and receive instant notifications. Over 1 million burglaries occur just in the United States each year during daytime hours, when houses are usually unoccupied. Traditional security systems will be activated once in case of once a break-in ,The Jinou Bluetooth lock is designed to help prevent a break-in by immediately notifying users of the illegal break -in , so that the users can call the police or check it out themselves. keeps the burglars out. That’s why Jinou is AES128 encrypted. and it is sorry to burglars.